If anyone has stopped by my blog in the last couple of days, you obviously heard crickets. I did not get a chance to do my Monday post or join in the Blogbattle this week. Everything is fine over here, it’s just that this week, I started a job outside the house. What?!?!? Yep, after 16 years of being a stay-at-home-mom, I got myself a part-time job. Mind you it’s not rocket science or anything, it’s actually quite fun. I’m working at the local Photography Studio, and I’m really enjoying it. But being that this did not replace my main job as home school mom, and the keeper of EVERYTHING, it’s going to take a bit to get my schedule in order. I hope to get back to some writing, I want to continue the story I started about being locked in the library, there was more to that story when I wrote it, the word count gets me every time 🙂 But at the least, hopefully I’ll get to continue my Monday posts. Hope everyone is doing well, I’ll drop by my favorite blogs when I get the chance. 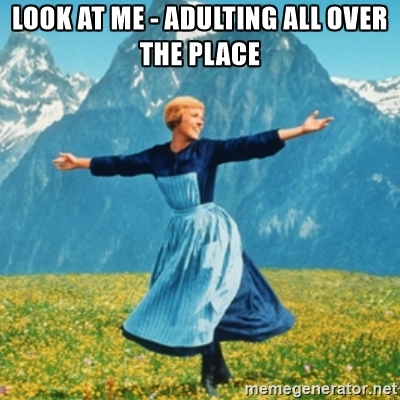 So my absence is not from a major crisis, or someone being sick, it’s just me…adulting, LOL. Just think of this as your fun place and don’t let it get stressful. Just blog what you can when you can – as a treat or break to yourself. Don’t add it to your schedule like a “work” thing…or else you won’t want to do it and it won’t be fun and we’ll be able to tell in your writing.